At least four Australian businesses have reached legal settlements worth a combined total of $65,500 for using unlicensed software. The Software Alliance (BSA), an advocate for the global software industry, revealed on 24 May that it had reached settlements with four local businesses, resulting from four separate cases it brought over unlicensed software use across Australia. The settlements saw the four unnamed Australian businesses agree to pay damages obtained for the use of unlicensed software, according to BSA. A Victorian retail fit out company agreed to pay a $35,000 settlement after it was found to be using unlicensed copies of Autodesk’s AutoCAD. Meanwhile, a Western Australian construction company was also found to be using unlicensed versions of Autodesk’s AutoCAD. The balustrade and fencing company settled for $10,000. At the same time, a Queensland-based IT contractor settled with the BSA for a total of $2,500. The organisation was found to have installed unlicensed versions of Microsoft Windows onto a number of computers which were subsequently sold on to customers. Additioally, a Queensland training institute settled for $18,000 damages after it was found to have unlicensed copies of Microsoft Office software installed on company computers. The BSA said it continues to urge businesses across all sectors and industries to ensure they’re operating with properly licensed software. “It’s important that businesses, no matter of location or industry, are vigilant when it comes to their software and ensuring that they are software compliant,” BSA’s Director of Compliance for APAC, Gary Gan said. “Businesses should look to implement an effective Software Asset Management (SAM) system in order to help them manage their software licenses,” he said. The BSA is continuing to offer up to $20,000 to eligible recipients who disclose accurate information regarding unlawful copying or use of BSA members’ software. 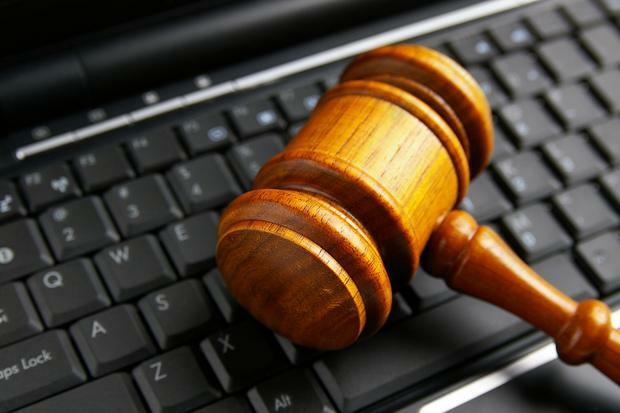 The cases come just weeks after Victorian technology retailer, Centre Com Sunshine, agreed to pay Microsoft $450,000 in damages for infringing the vendor’s copyright by installing unauthorised copies of Windows 7 Professional. The retailer, which operates its business via shopfront in 10 locations in Victoria, as well as online, and its sole director Raymond Xianke Huang, agreed to pay Microsoft the money as part of a landmark settlement agreement. In April, Microsoft was awarded damages of nearly $1 million after a legal battle over copyright infringements by online software seller, Moonbox Software. The Federal Circuit Court of Australia ruled that Microsoft should receive damages of $957,895 against Moonbox Software and its four directors, Jordan Barnett, Benjamin Davies, Daniel Leslie, and Frederick Porter, for infringement of Microsoft’s copyright.